WordPress is very user friendly and a great place to create your own blog. It’s also probably the most popular choice amongst our chapter. You have the option of going to wordpress.com or wordpress.org. WordPress.org will give you the ability to play with HTML and coding, whereas wordpress.com does it all for you. When you first sign up, you have the option of paying per year or signing up for free. I chose to pay the $18, and although I do believe it’s benefitted me and increased my SEO, don’t feel that you need to do this right away. It’s ok to start out with the free option and upgrade later on. Another plus of WordPress is that you can reblog blog posts from the PRSSA and ImPRessions blogs. This is a great way to showcase your work, as well as the work of your peers, on your personal website. 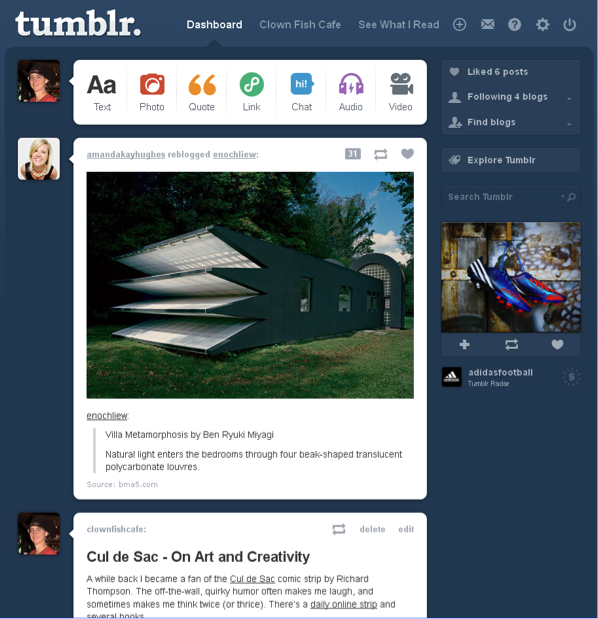 Tumblr is also a great option and something you may already have experience with. Tumblr gives you A LOT of freedom. When I first I started using it, I was actually overwhelmed with all of my choices, but it was a good overwhelming feeling nonetheless. Once you begin playing around and exploring your options, Tumblr becomes a lot easier. It is also free and allows you to create a blog that speaks to your brand. 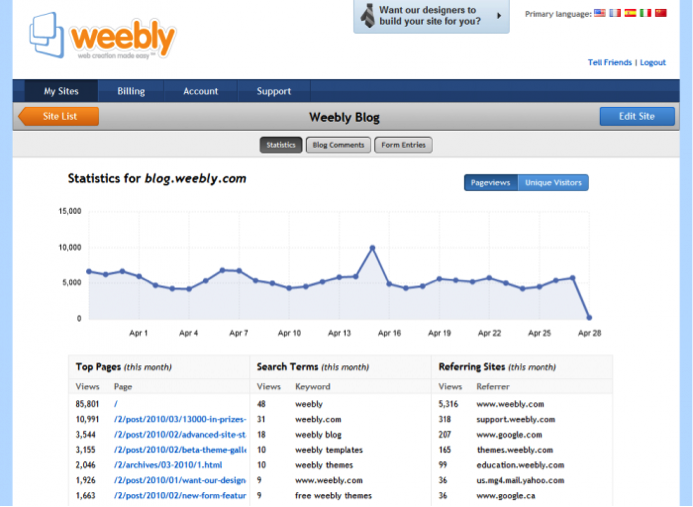 Another option that seems to be popular is Weebly. I don’t have too much experience with this platform, but I do know that they have some pretty great theme options. I’ve seen many blogs housed on Weebly that look very nice and professional. The price is also comparable to WordPress, offering a free option as well as other payment options as you get more serious about your blog. Through my inbound marketing certification in HubSpot, I recently learned that it is best to create a blog that is about 600 words. They don’t all need to be this long, but when you write, you should create something that benefits your reader. Often, it takes more than 200 words to do this. Also, every blog post you publish should have a picture. This draws readers in and makes each blog post more engaging. If you’re having trouble writing content, set a schedule for yourself to decide how frequently you would like to blog and what topics you would like to blog about. Your blog doesn’t have to pertain to any specific subject, so just let your mind run wild. You can create lists, how-tos, feature stories or a basic blog about something you recently did or experienced. It’s best to mix up the format to keep your content interesting as well as keep your readers coming back. Your final step should be to promote your blog and put the link to it on your social media accounts. You want people to read what you have to say, so make sure they see your work! Post on your accounts each time you create a blog post so people can read your newest work. Now that you have an idea of where to start, it’s time to create your blog! I know I’m speaking for everyone when I say we can’t wait to see the finished product in the wrap next week.